How To Help One Billion People? Because of social media, your ability to impact one billion people is a reality. 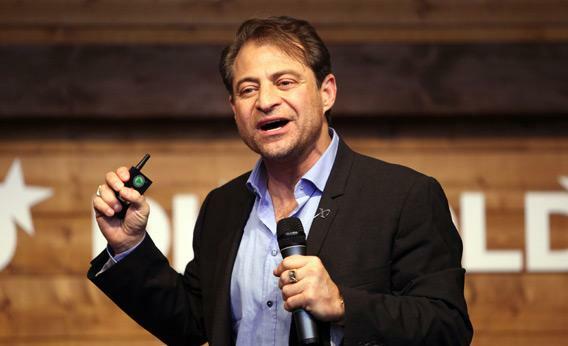 I head an excellent interview with entrepreneur Peter Diamamdis on the Tim Ferris show. I jotted a few a points and preordered his book, “Bold “on Amazon. How can one billion people be helped by you? By the 2020 there will be five billion people on the internet. What can you do to help them? Today, there are nearly two billion. Develop moon shot thinking. Think 10 x greater than anybody else. With God this is possible. Your greatest ideas are nothing compared to His thinking power. Develop a 10 x bigger approach to things. Stop complaining and start solving. I am attempting crazy big ideas? Be willing to fail 99 out of 100 times. When you have huge goals it’s impossible to fail completely. Somewhere you will hit it right. Today, capital from crowd funding is at 15 billion dollars. In 2020 it will be at 100 billion. Is there a billion people problem that you can solve?